We’ve all felt it: the hair-prickling, teeth-gritting feeling of our skin brushing against something unpleasant, or the overpowering aroma of last night’s dinner at the bottom of the sink, or bits of sand or dirt underneath your feet as you step out of the shower. Or maybe you get a little squeamish listening to someone chew with their mouth open and talking while chewing! If people with normal functioning senses are bothered by certain stimuli, can you imagine what it must be like for people with sensory processing disorders (SPD)? Sounds can be terrifying to them; tastes and smells can make them vomit; bright lights can be unbearable; and textures can cause great pain. Sensory processing disorders are caused by the brain’s inability to respond properly to stimuli affecting the five senses. 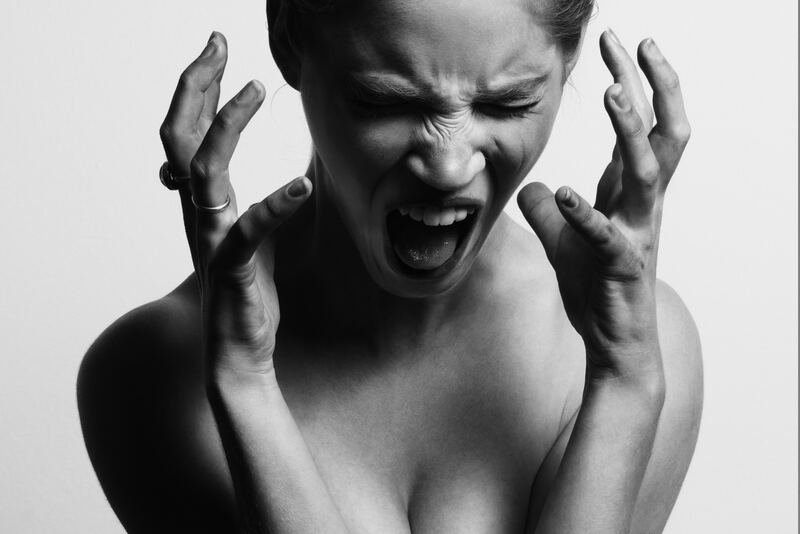 People with an undiagnosed disorder may be hypersensitive, whiny, anxious, finicky or even become sick to their stomach. They may react dramatically to sensory stimulation such as bright lights, or be unresponsive and not react to sensations such as hot and cold. In fact, most individuals with SPD will exhibit both symptoms to some degree, either dramatically overreacting or not responding at all. Hypersensitivity is one of the more common subgroups of SPDs and it can affect any of the five senses; even the smallest things can be unbearable for someone with a hypersensitivity issue. Hypersensitivity is often manifested by extreme reactions and/or fear to regular situations. Applause, clanking of dishes and silverware, flushing toilets, flashing lights, traffic-related sounds, vacuum cleaners, hand dryers in the bathroom, and thunderstorms are common sources of distress. Individuals with tactile hypersensitivity are often fearful of, or uncomfortable with, unplanned touching. Being in crowds or standing close to others can induce anxiety. Parents of children with tactile hypersensitivity often report that their child dramatically dislikes hugging or cuddling, even with people they are familiar with. The child may also avoid games like tag. These problems can make social interactions, and simple things such as going out to eat or hugging a relative, very stressful. Sensory unresponsiveness, or under sensitivity, on the other hand, is a lack of receptiveness to stimulation of any one of the five senses. People with this SPD may not react to changes in temperature, noises, and touching. They may seem inattentive or have a tendency to “zone out.” They might even struggle with an overwhelming difficulty in waking up. Sensory unresponsiveness can make toilet training very difficult because children in this subgroup can be unaware that they’re wet. And children who lack awareness of temperature changes may need help dressing appropriately for the weather. Children with auditory unresponsiveness may exhibit deafness even after hearing tests show auditory function. Children in this subgroup can also be unaware of their own strength and might play rough, causing other children to avoid them during playtime. While there is no clear medical diagnostic criteria for SPD, occupational therapists have been diagnosing and treating this disorder for the longest time. Another “treatment” technique involves avoiding triggers. For instance, instead of going to that loud fireworks show, you might opt for a quiet game night at home. If your issue is auditory hypersensitivity, noise-cancelling headphones can be a great tool. If every day stimuli like bright lights and repeated noises seem to bother you much more than others around you, you might consider seeing an occupational therapist to determine if you have a sensory processing disorder. And if you know someone, especially a child, who you’ve thought is too sensitive, or not sensitive enough when it comes to one of their five senses, or you’ve assumed they’re just faking it to get out of eating something they don’t like, maybe it’s time to take them more seriously. Consider discussing the situation with them or their caregiver because perhaps an appointment with their health care provider is in order to identify an appropriate course of action. Sensory processing disorders are very real. So the next time you see someone exhibiting some of these signs or symptoms, just know that they’re not faking it or being silly. Be patient and compassionate with them because a part of their world is causing them significant pain and discomfort. Be their hero and try to help them find the assistance they need to navigate this world without pain or trauma.